Let’s go back to the year 1689. The Dutch Protestant Prince William of Orange, along with his wife Mary, became co-rulers of England, Scotland and Ireland. Embroiled in the Thirty Years’ War with France, they quickly outlawed imported French brandy and promoted local distillation. Shortly before, English soldiers had fought alongside the Dutch in their war for independence from the Spanish. During this time, the English soldiers noticed the Dutch swigging Genever from their flasks to steady their nerves before battle, coining the phrase ‘Dutch courage’. By banning imported spirits and deregulating home production, William and Mary had unknowingly opened the floodgates to uncontrolled distillation and distribution of this juniper-flavoured liquid from their homeland. The Royal edict meant that private citizens were free to distil gin or other spirits from grain without a license. Sales were also overly simplified: while beer sellers had to get a magistrate’s license, attend church and take communion, swear an oath of allegiance to the Crown and accept the expense of accommodating travelling military troops. The number of alehouses began to dwindle as restriction-free dram shops sprang up across the country. The “Gin Craze” had begun. 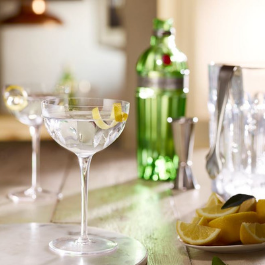 Gin became the tipple of choice for many people who flocked to London for work and by 1720 the average weekly consumption of gin was almost three litres per person. Parliament reacted by introducing a series of laws which would eventually eradicate unlicensed gin production and curb London’s gin consumption. As a bounty of spices, fruits and teas began to arrive in London, the new generation of legitimate gin distillers found themselves inspired by the exotic array of ingredients, such as citrus, anise, cinnamon and liquorice root found in the city’s burgeoning markets. The introduction of column stills in the early 19th century revolutionised gin production, leading to the creation of “London Dry” style gins which incorporated these new flavours. These subtler flavoured gins became the staple ingredient during the roaring 1920s in a new social drinking craze known as the cocktail! 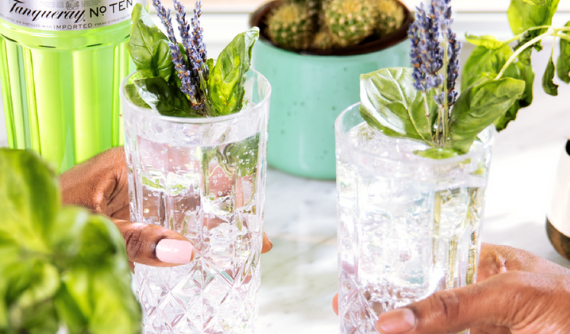 After a brief lull in popularity during the 1960s, gin began a monumental comeback and today, there are countless varieties found on shelves across the world. Gin can only be made with a 96% ABV highly rectified spirit, usually produced from grain using a column still. 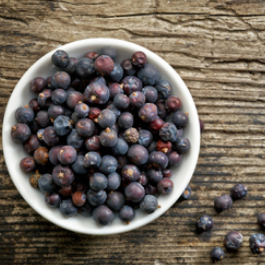 Natural or nature-identical flavourings may be used, but the final product must taste predominantly of juniper and have a minimum ABV of 37.5%. Unlike most other spirits, no additional production methods are specified. 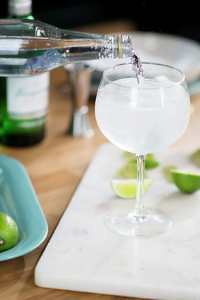 Lower quality gins are flavoured using a process known as “cold compounding”; simply adding flavourings (such as botanicals) to a neutral spirit and filtering before bottling. 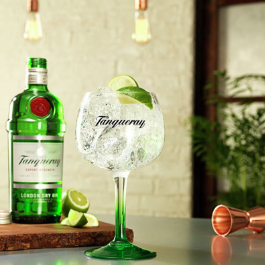 More premium gins are flavoured using re-distillation; juniper berries and other natural botanicals are added to the spirit to impart their character and the still is heated to vaporise the spirit. When condensed, the liquid has taken on the flavours. The predominant flavour in all gins is juniper. It has a fresh, balsamic, woody-sweet and pine needle-like scent and creates a dry, almost bitter taste. The combination of additional botanicals gives each gin brand its unique characteristics and taste. Floral: Chamomile, bay leaf and orris root. Spicy: Ginger, coriander seeds, cardamom, cinnamon, lemongrass and angelica seeds. Woody: Angelica root, liquorice and nutmeg. Citrus: Bergamot, bitter orange and pink grapefruit. 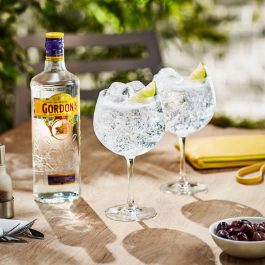 London Dry – Originating in England but now produced all over the world, London Dry is what most people think of as gin and is typically used to make G&Ts and martinis. To qualify as London Dry, it must be made in a traditional still by re-distilling the neutral grain spirit in the presence of botanicals. The distillate must have a minimum strength of 70% and no additional flavourings or colourants can be added after distillation. Distilled – Made in a traditional still by redistilling a neutral grain spirit with botanicals. The distillate does not have a minimum strength and after distillation, further flavourings and colourants can be added. Cold Compounded – Made by adding natural flavouring substances to a neutral spirit without the redistillation of botanicals. To qualify as gin, the predominant flavour must be juniper. 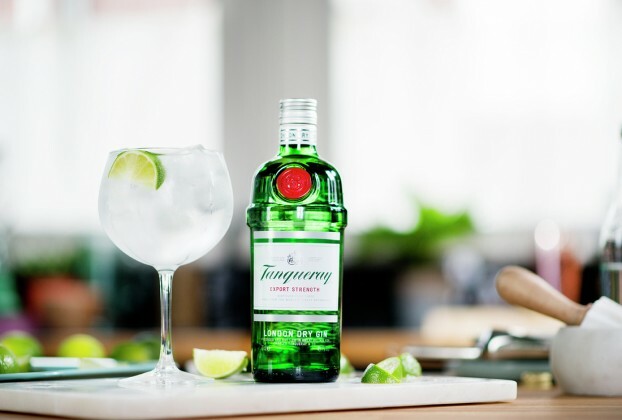 Ultra premium gin from the House of Tanqueray - distilled with whole fruits for a refined, smooth delivery of delicious botanicals and flavour. Jinzu is a British gin with delicate flavours of cherry blossom and yuzu citrus fruit, finished by smooth Japanese sake. What make's the perfect G & T? Explore this classic serve and read about ways you can give it an innovative twist. 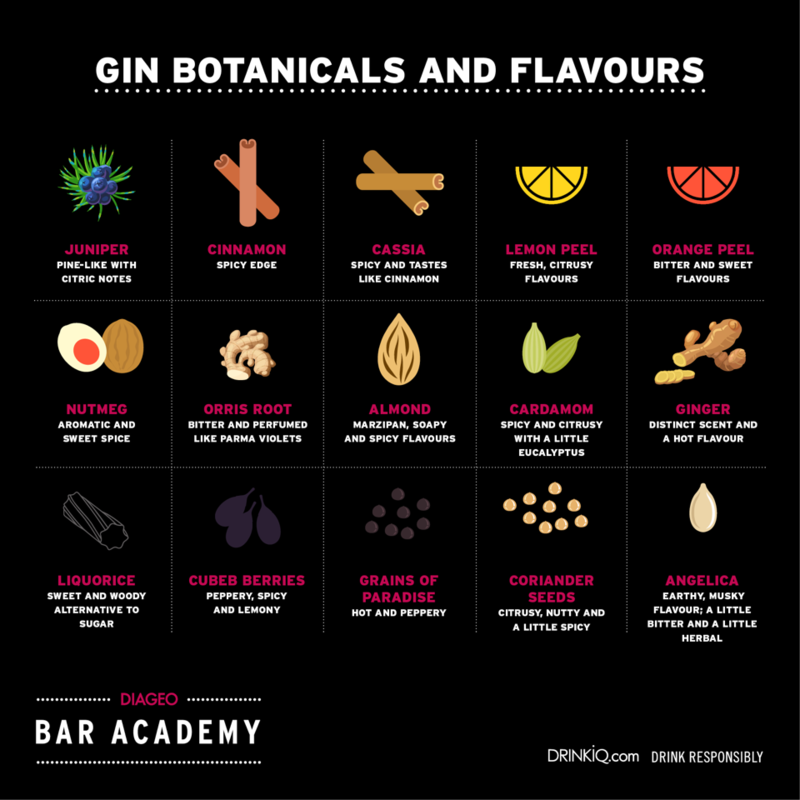 Join us as we dive into the world of gin and botanicals and see how you can enhance the flavours in your gin serves. 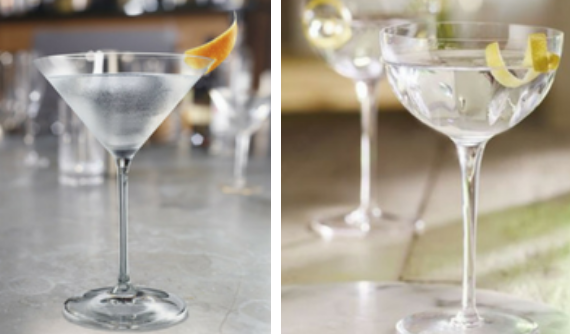 Ben Reed looks back at the history of the iconic martini and shares three different styles for you to recreate. 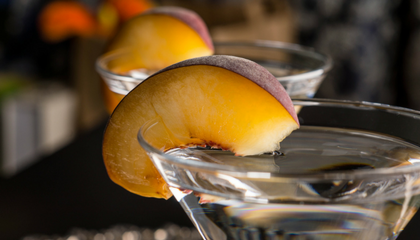 Tristan Stephenson, looks at the current trends in gin and offers us a recipe for one of his favourite gin cocktails.